An intricate soap drama of passion and murder. This telenovela started very well and I, among others, had great expectations because of the reputation of the author and the quality of his other work. 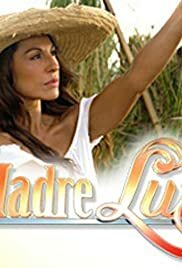 Madre Luna, however, is a failure in my opinion and not what we have come to expect from J.Jimenez. It is EXTREMELY violent, with scenes of torture, female abuse, attempted rapes and so on; there are almost as many villains as there are decent characters, and these seem to own the limelight for the most part. I am not a sadist and find it hard to see so much meaness and cruelty episode after episode without the balance of goodness and justice to offset it at least some of the time. In this case, a "happy ending" won't compensate for having had to put up with so much nastiness. What a waste of good actors and actresses!